You have been warned! Illustrating the consequences of failing to have appropriate customer complaints procedures in place, OfCom has fined Vodafone £4.6m for failing to have in place complaints handling processes. Statistics show that using ADR is beneficial to businesses in any event. Vodafone will be fined £4,625,000 by Ofcom for serious and sustained breaches of consumer protection rules. One investigation found that 10,452 pay-as-you-go customers lost out when Vodafone failed to credit their accounts after they paid to ‘top-up’ their mobile phone credit. The affected customers collectively lost £150,000 over a 17-month period. In a second investigation, Ofcom found that Vodafone failed to comply with their rules on handling customer complaints. 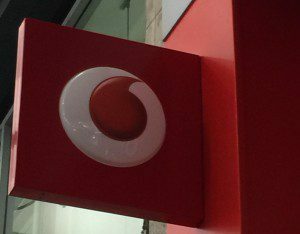 Vodafone’s customer service agents were not given sufficiently clear guidance on what constituted a complaint, while its processes were insufficient to ensure that all complaints were appropriately escalated or dealt with in a fair, timely manner. Vodafone’s procedures also failed to ensure that customers were told, in writing, of their right to take an unresolved complaint to a third-party resolution scheme after eight weeks. All businesses in the U.K. have an obligation to provide details of an ADR provider to a complaining customer, or can face a fine or imprisonment!